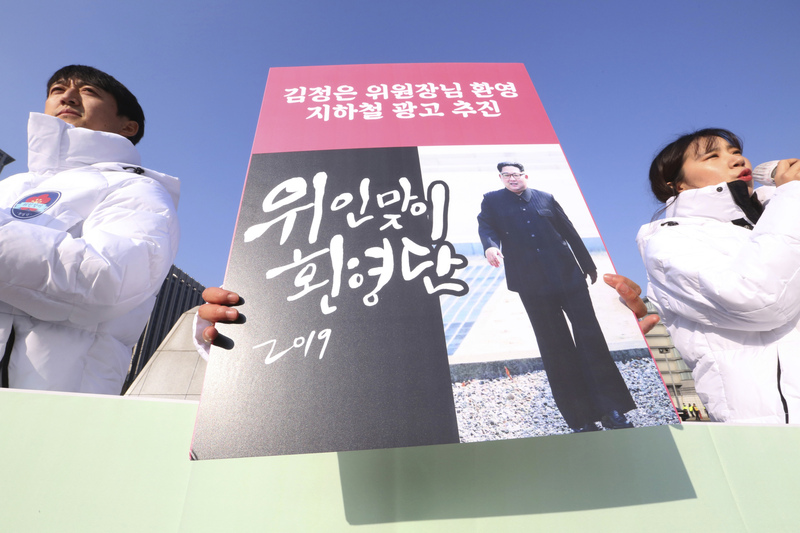 Exactly a year since nuclear-armed North Korea last tested a missile — its most powerful to date — news has emerged that leader Kim Jong Un is open to inspections at his country’s main nuclear complex. Citing a senior diplomatic source, South Korea’s Yonhap news agency reported Tuesday that Kim is willing to let inspectors visit the Nyongbyon nuclear site. Kim had told South Korean President Moon Jae-in during their September summit that he would be willing to shutter the complex if the U.S. took “corresponding” measures. “I understand that Chairman Kim told (South Korean) President Moon (Jae-in) during their summit in September that if the U.S. took corresponding steps he would not only be willing to shut down the Nyongbyon nuclear facilities but also allow verification,” Yonhap quoted the source as saying. The source said Moon passed the message on to U.S. President Donald Trump when the two met on the sidelines of the United Nations General Assembly in New York later that month. While the proposed shutdown — in exchange for reciprocal moves — had been previously reported, the offer to allow inspectors at the site had not. According to international experts, Nyongbyon houses a 5-megawatt reactor, centrifuges, fissile materials such as uranium and plutonium for bombs, and other facilities and equipment. Asked about reports of North Korean willingness to allow inspectors in and whether there had been new developments, State Department spokeswoman Heather Nauert said Tuesday that she was “not aware of any of that,” but noted Kim had agreed to inspections in a meeting with U.S. Secretary of State Mike Pompeo recently. It was not clear from her remarks whether Kim had specifically said inspectors could visit the Nyongbyon facilities. Critics have lambasted the offer to close the facility as merely for show, pointing to a number of other known and unknown nuclear sites. Some have even claimed that Nyongbyon had been built specifically for the purpose of allowing for its later dismantlement — while maintaining its clandestine sites. The last time North Korea allowed international nuclear inspectors into Nyongbyon was in 2009. Pyongyang’s last missile test — of its Hwasong-15 intercontinental ballistic missile, which experts believe is capable of striking most, if not all, of the United States — was on Nov. 28, 2017. 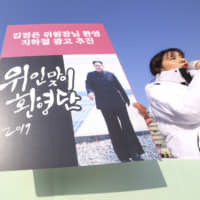 Trump has faced criticism over his claims, with some saying there is no evidence the North has taken significant steps toward denuclearization, despite the president’s remarks to the contrary. Talks were dealt another blow Wednesday, when it emerged that the top CIA official in charge of Korea affairs will resign at the end of the year, reports said. Andrew Kim, head of the CIA’s Korea Mission Center, tendered his resignation effective Dec. 20 to move to a research post at Stanford University, Yonhap quoted a senior official at South Korea’s National Intelligence Service spy agency as saying. The Korean-American official played a key role in negotiations with North Korea before and after the Trump-Kim summit. The State Department’s Nauert declined to confirm the retirement, but served up praise for his accomplishments.